Nicholas Davis is Head of Society and Innovation and a member of the Executive Committee at the World Economic Forum in Geneva, Switzerland. Nick leads the Forum’s work on “The Fourth Industrial Revolution”, focusing on how emerging technologies are disrupting industries, labour markets, societies and governments as well as how technology can be used to empower communities to create a human-centred future. Nick is also responsible for the Forum’s global NGO, labour and faith communities. With Klaus Schwab, the Founder and Executive Chairman of the World Economic Forum, he is the co-author of Shaping the Fourth Industrial Revolution, published in January 2018. 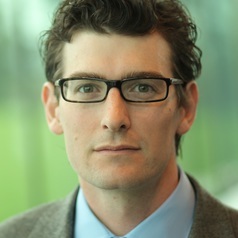 Originally from Sydney, and previously a commercial lawyer, a director at Oxford Investment Research and the World Economic Forum’s Head of Europe, Nick is an Adjunct Professor with Swinburne University’s Institute for Social Innovation, an Associate Fellow of the Geneva Centre for Security Policy (GCSP) and on the board of the IMP3rove European Innovation Management Academy. Nick holds degrees in Arts and Law from the University of Sydney as well as a Masters of Business Administration from the University of Oxford.